Humana promotes September 21 in Madrid a roundtable with the title 'The Challenge of Food Security in Africa: case studies of success in rural areas'. Registration is free to fill seats. 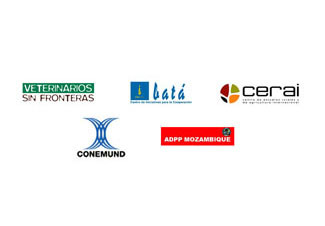 Speakers will include representatives from NGO's and Veterinarinarios Sin Fronteras, CIC-Bata, CERAI, Conemund and ADPP Mozambique. Humana will moderate the event. The purpose of the table is to share experiences on various examples of cooperative programs focused on food security in order to promote new initiatives to implement mid-term new initiatives in this area. After a brief presentation by each of the speakers will open a discussion in which attendees may participate. The board will take place from 18:30 in Hub-Madrid, Governor Street, 26. 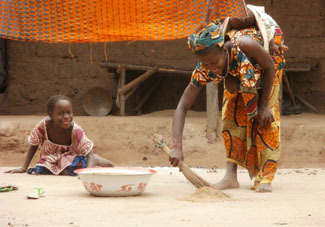 Food security exists when all people at all times have physical, social and economic access to sufficient safe and nutritious food to meet their dietary needs and food preferences for food to lead active and healthy, according to the Food United Nations Food and Agriculture Organization (FAO). One of the biggest problems facing humanity is closely related to access to water and food production. Thus, the lack of food causes about 1,000 million people suffer hunger in the world. In addition, this lack of food threatens the stability and peace in many parts of the planet. It is therefore necessary to work with disadvantaged communities in favor of progress. Without enough food, there is no development possible. Proof of this is the drama that is currently living in the Horn of Africa. The event is part of Humana People to People Day, for food security, scheduled for September 22. This is an annual international event involving nearly two dozen organizations of the Federation Humana People to People in Europe, which include Humana People to People Foundation.